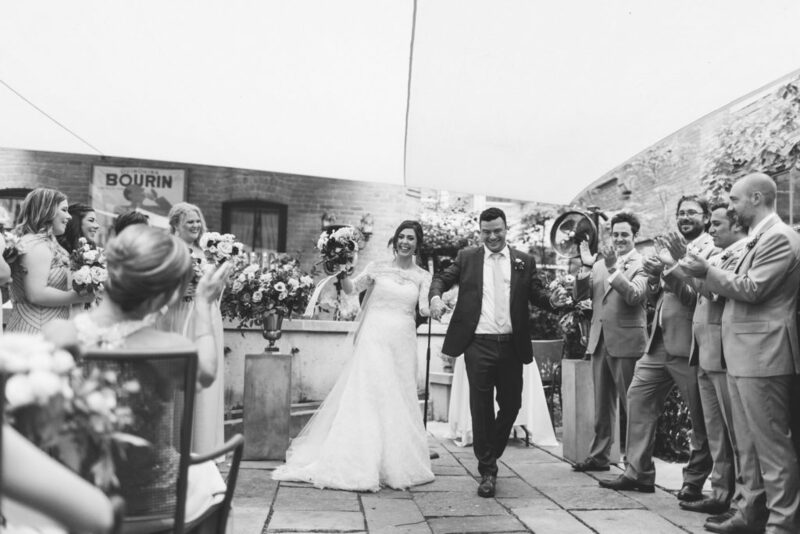 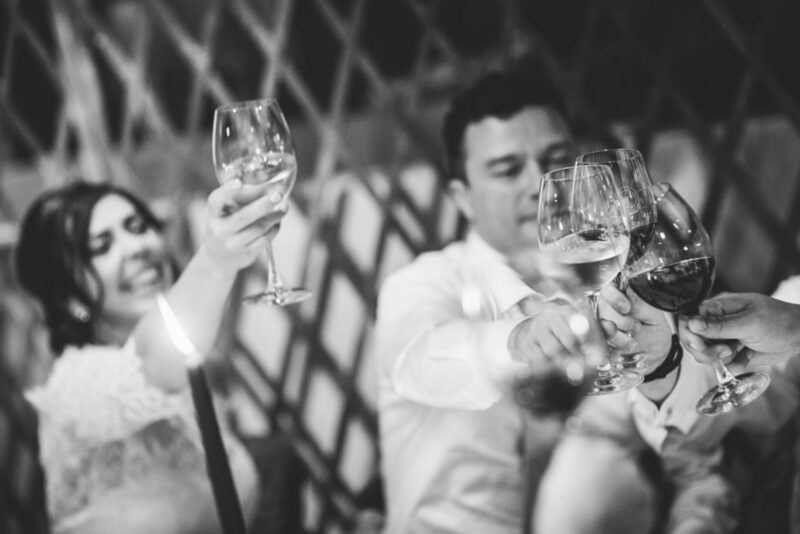 Lauren & Alessio were one of our amazing full planning couples this year. 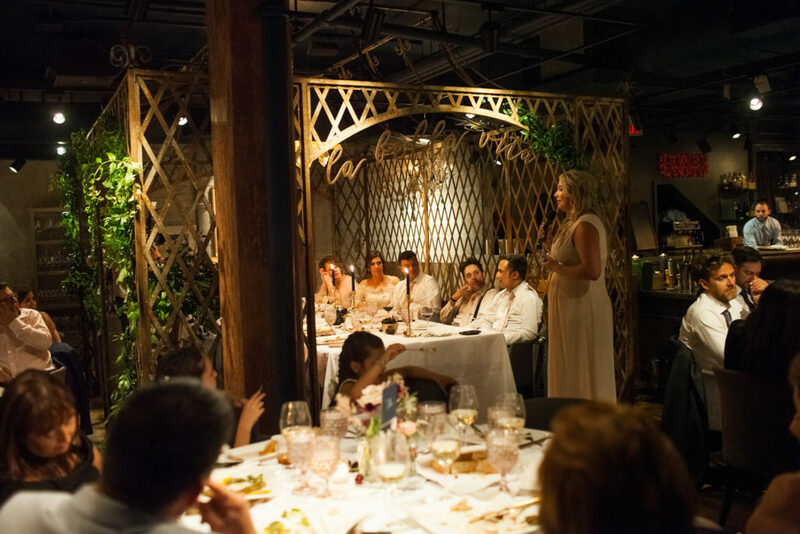 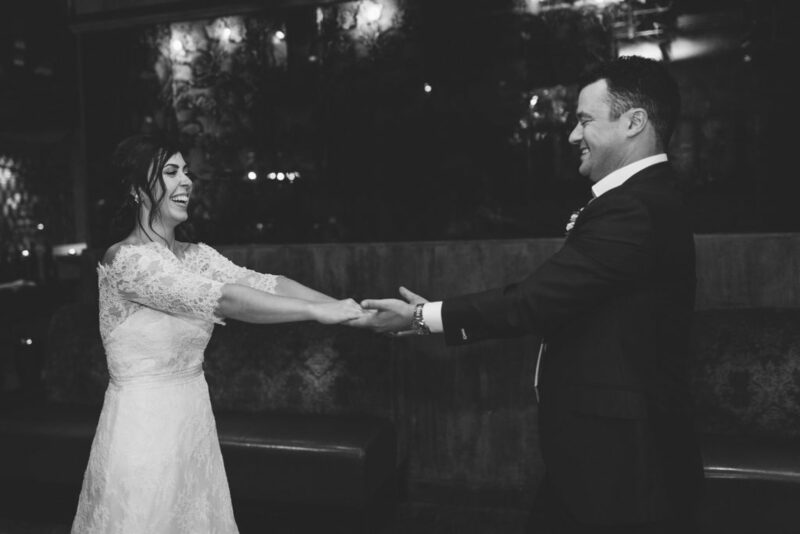 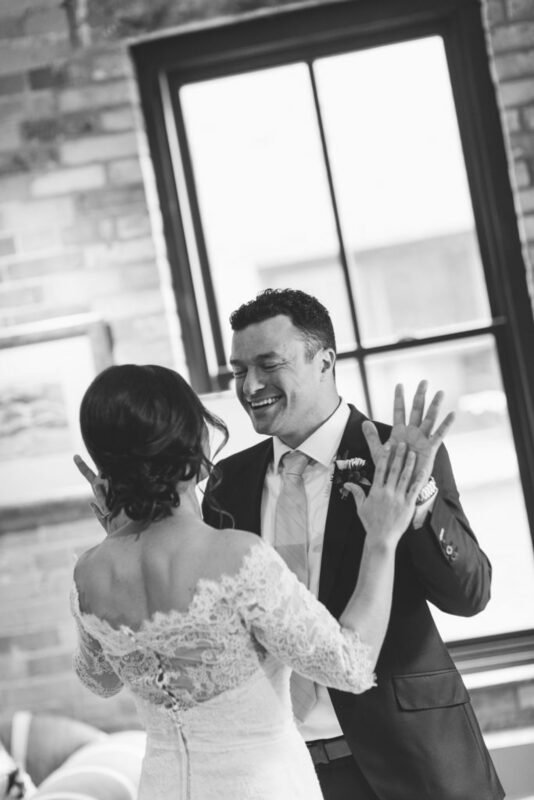 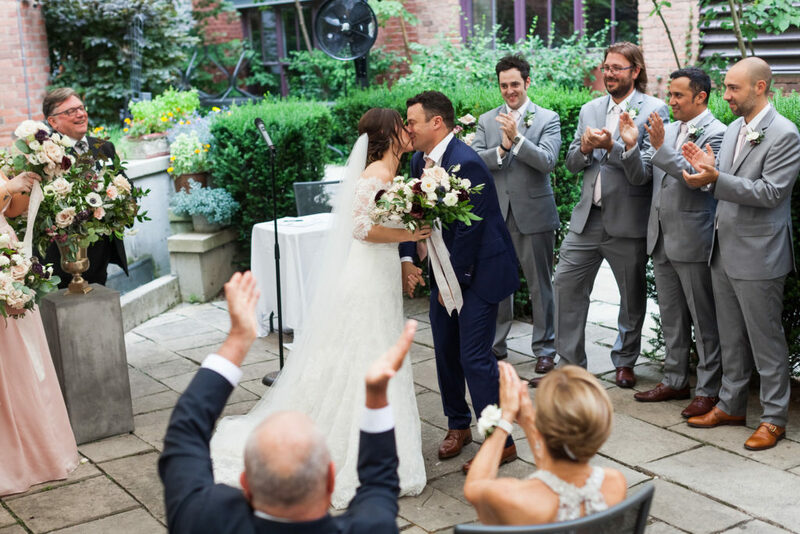 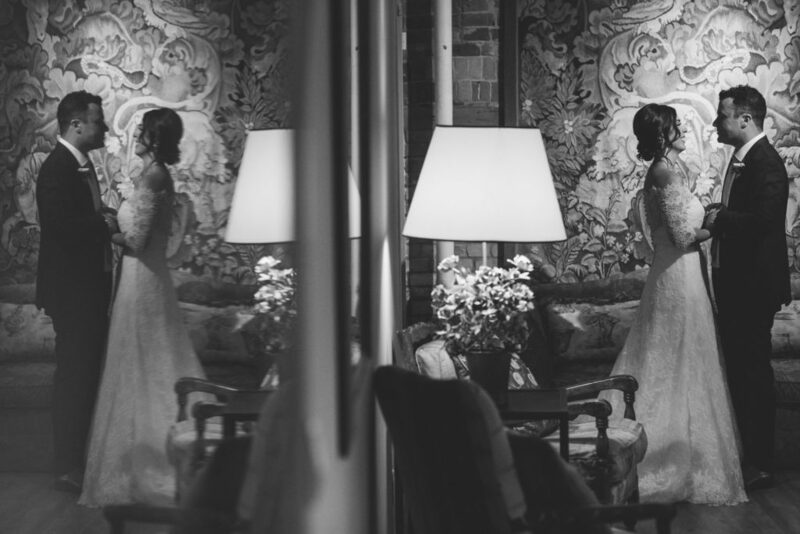 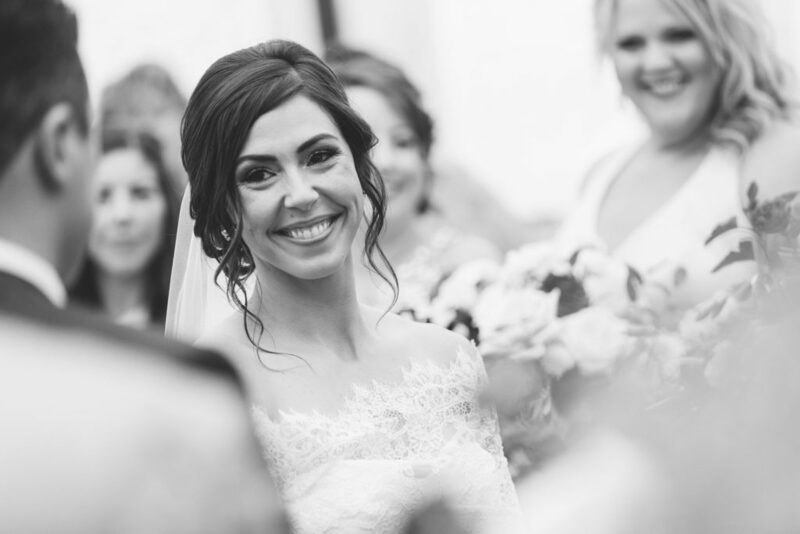 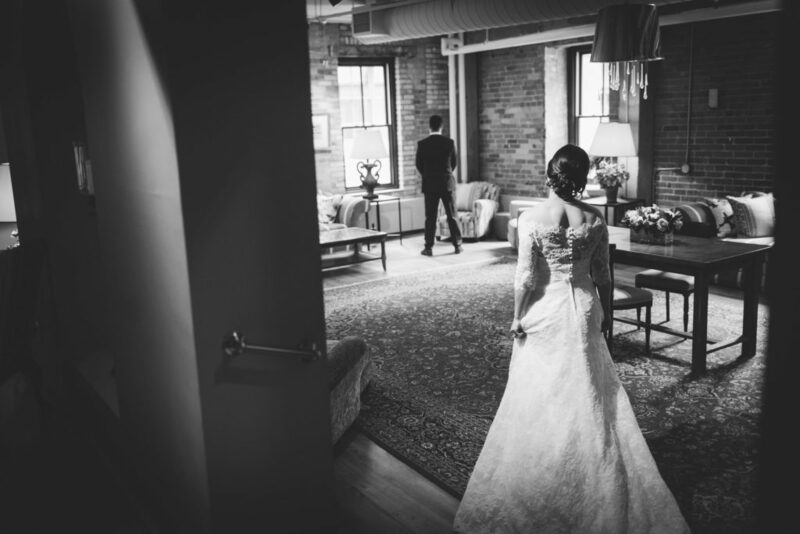 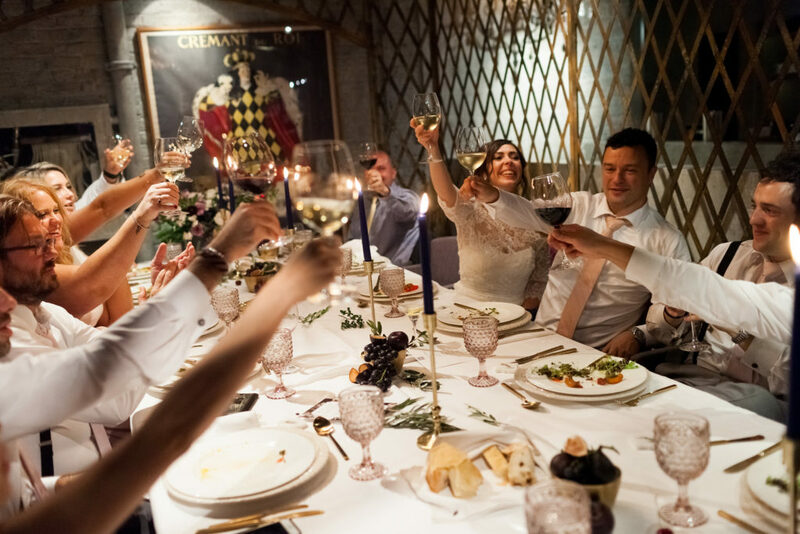 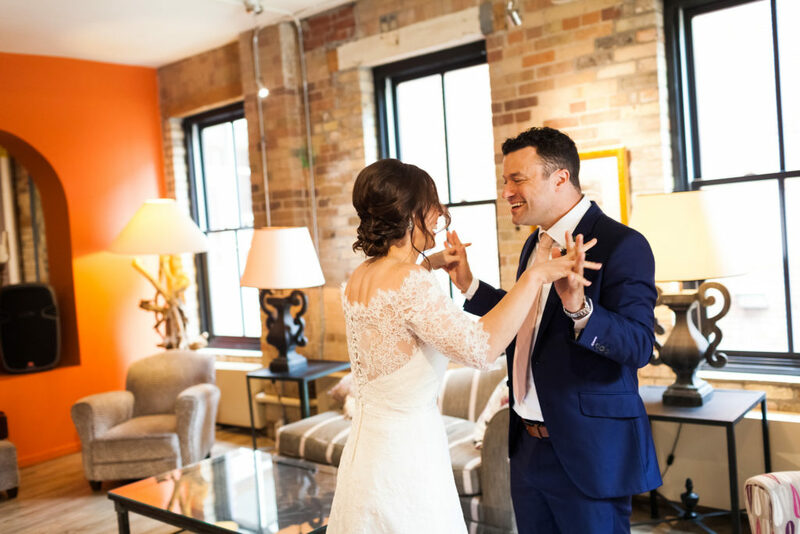 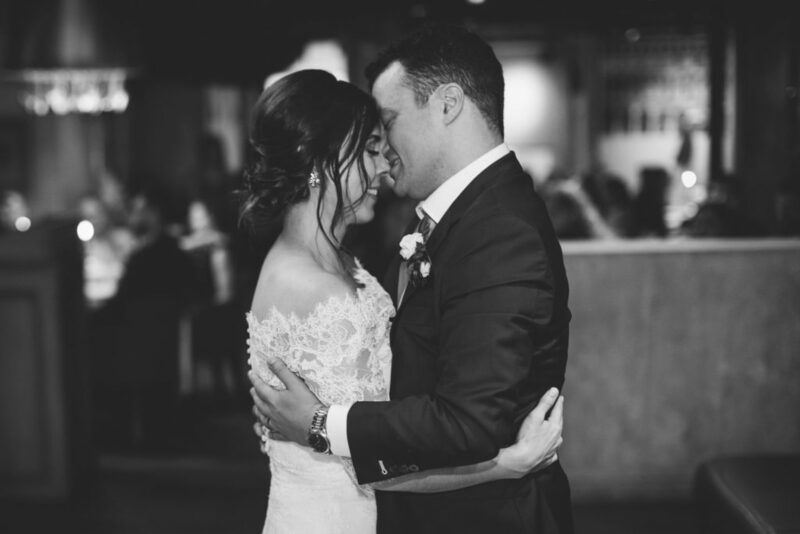 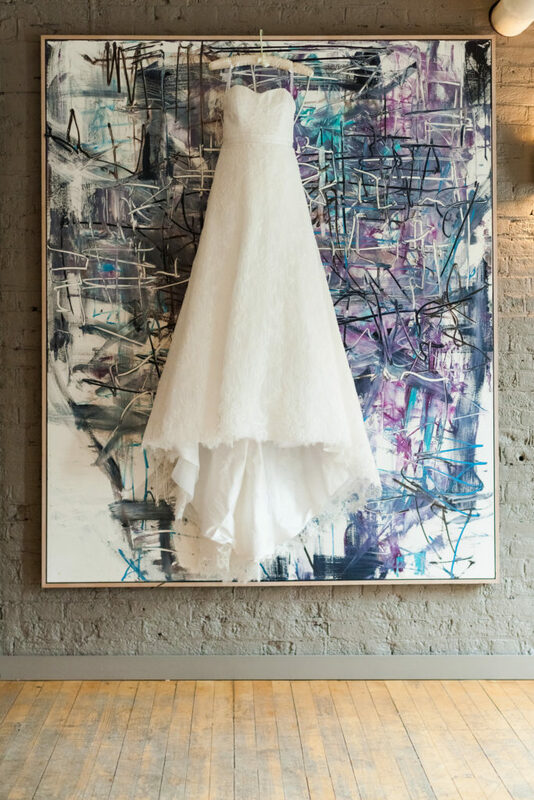 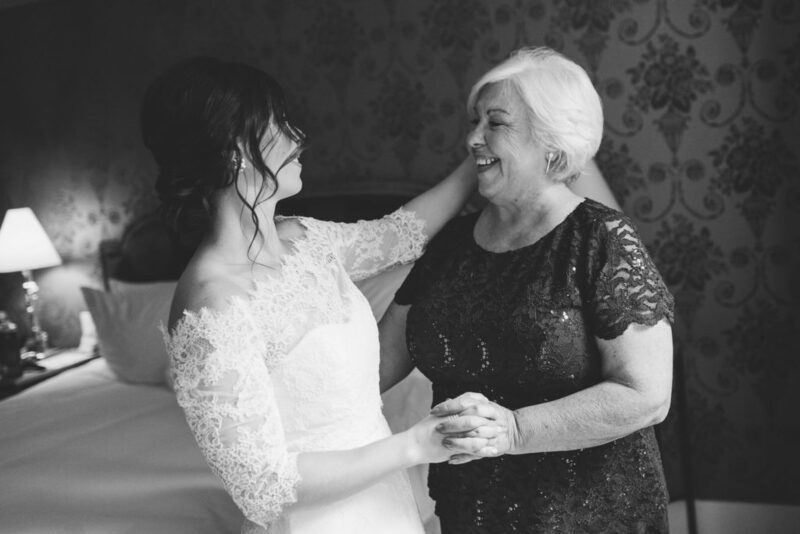 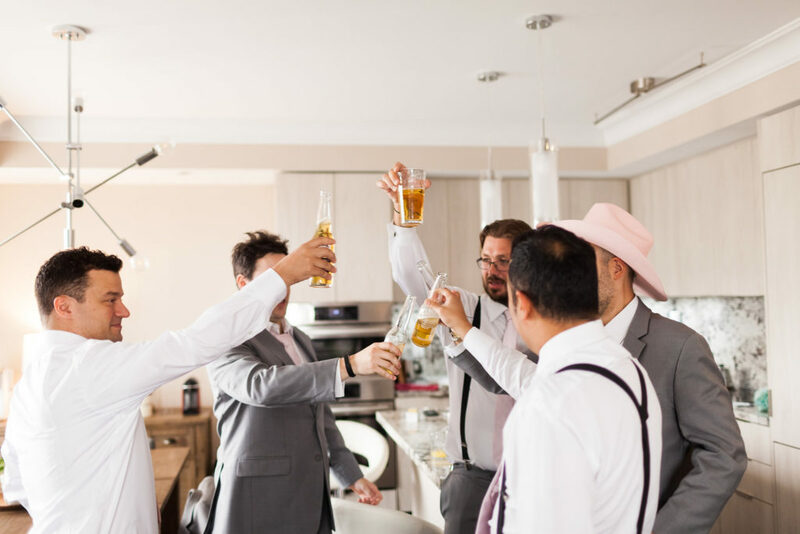 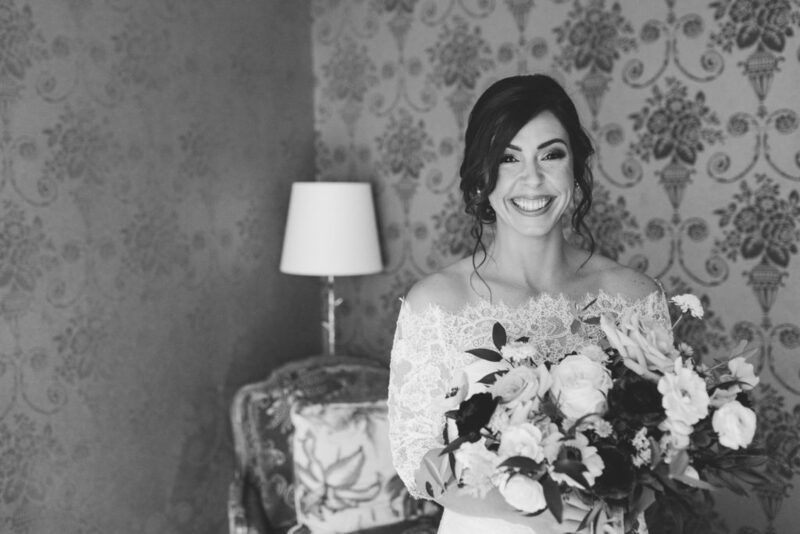 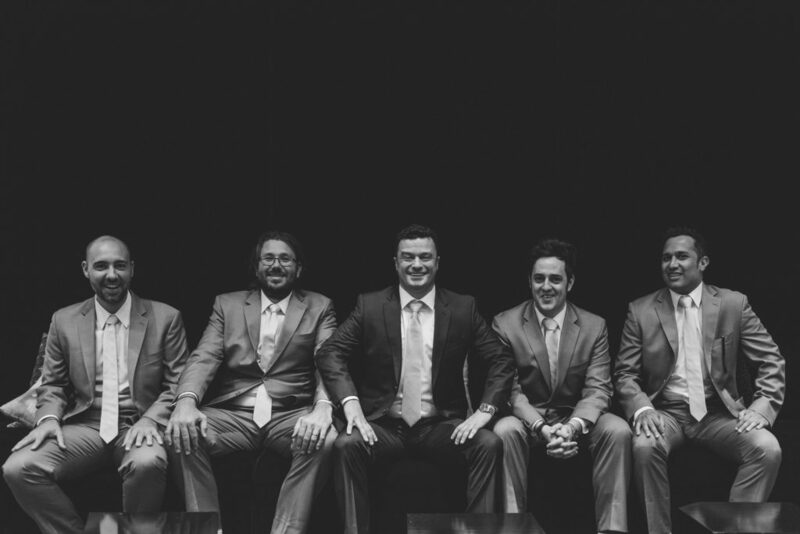 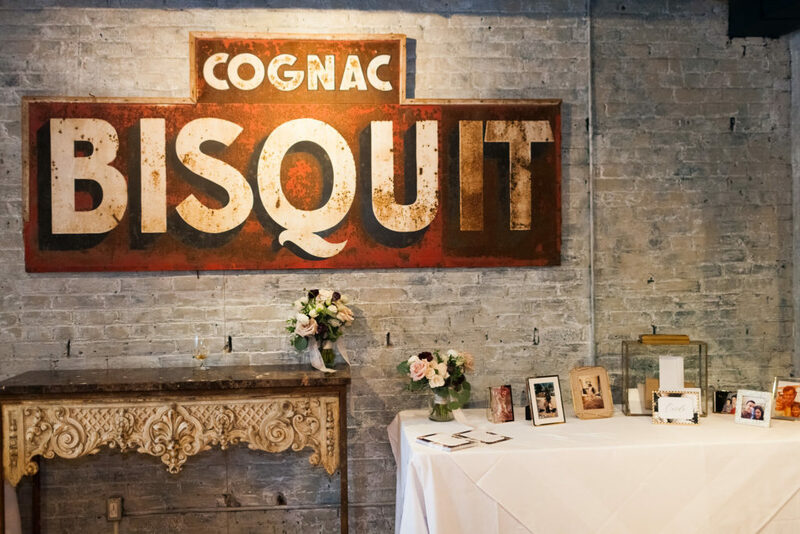 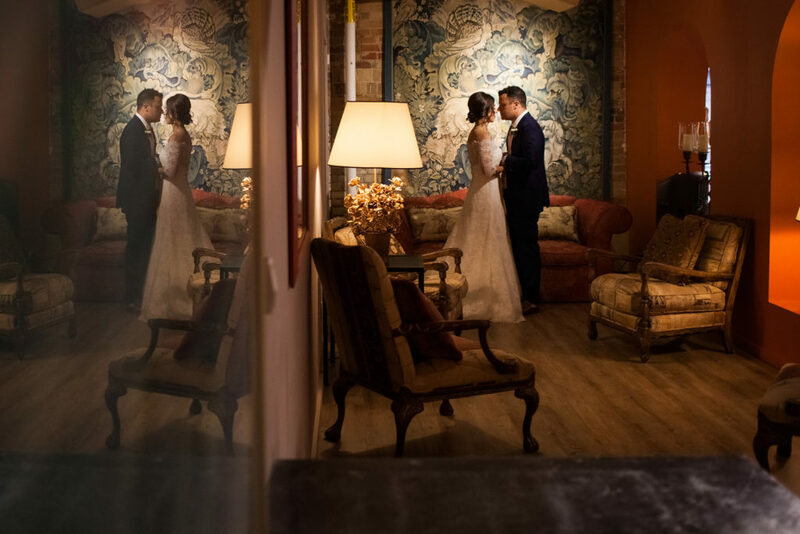 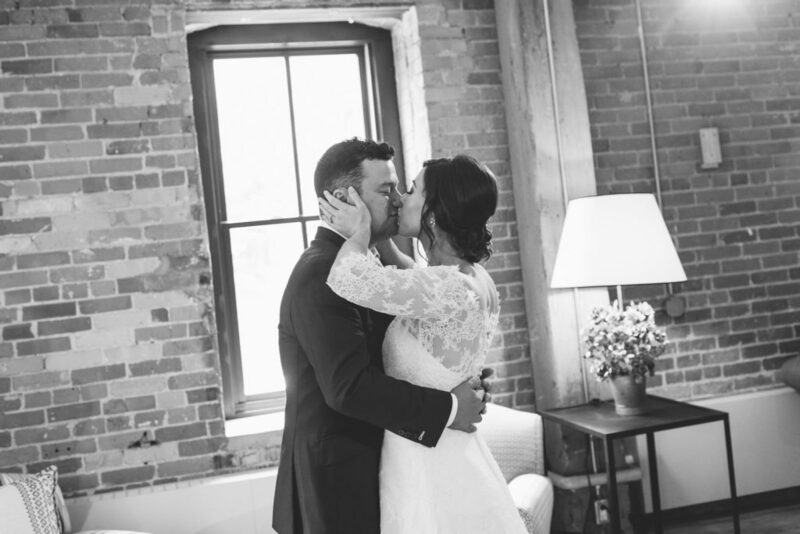 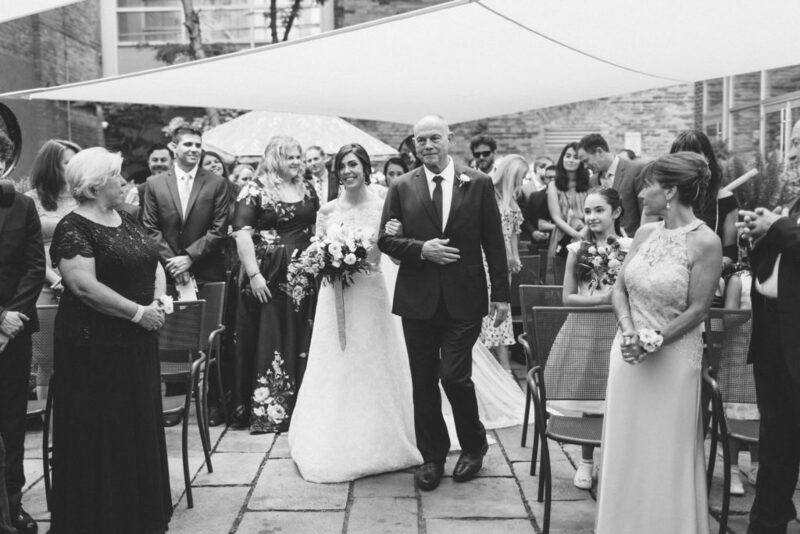 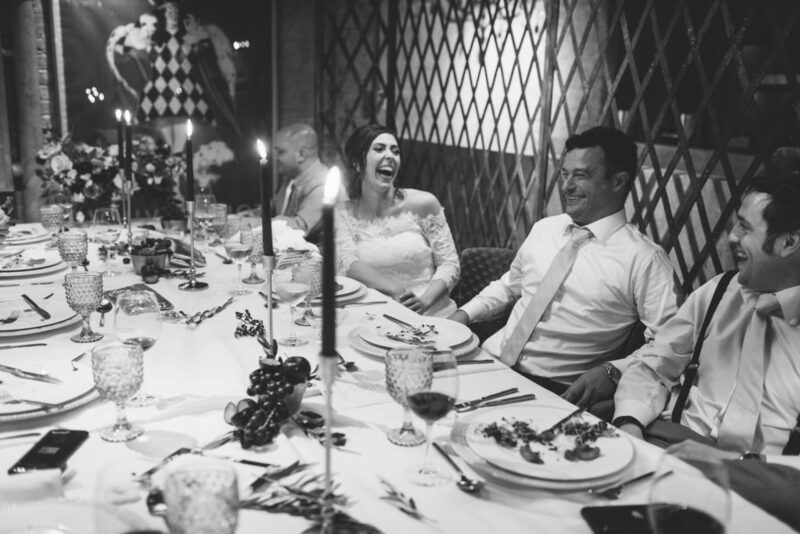 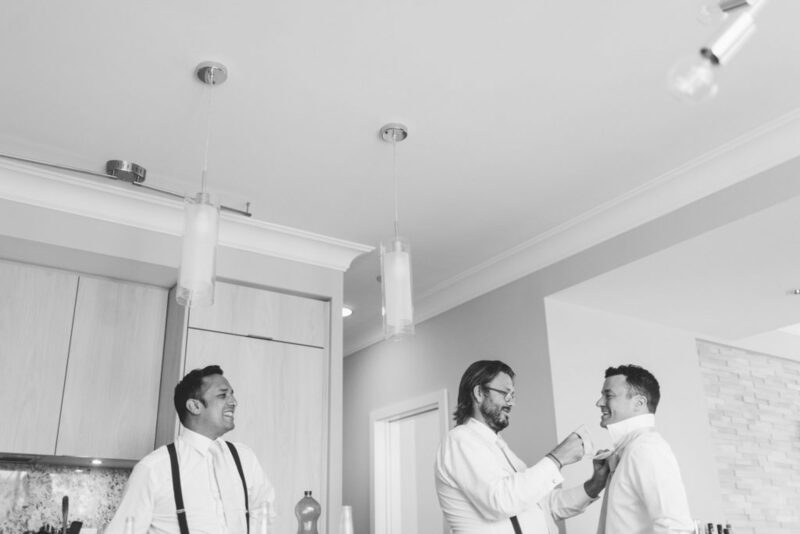 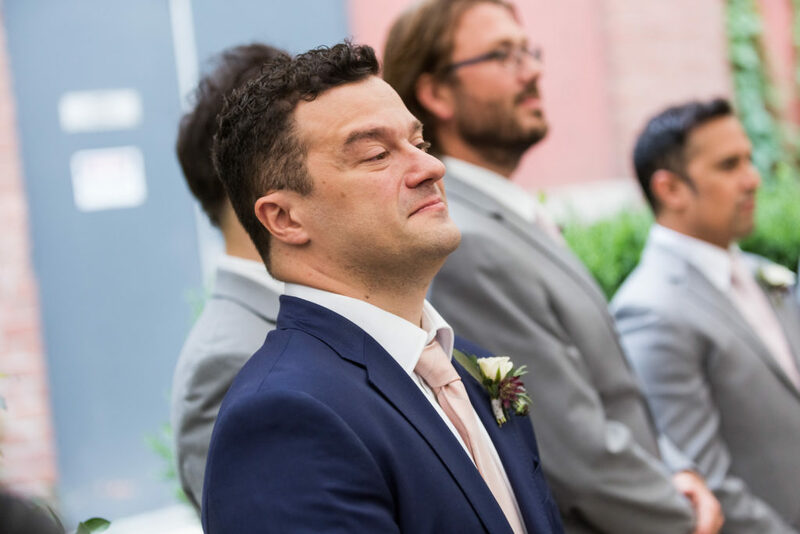 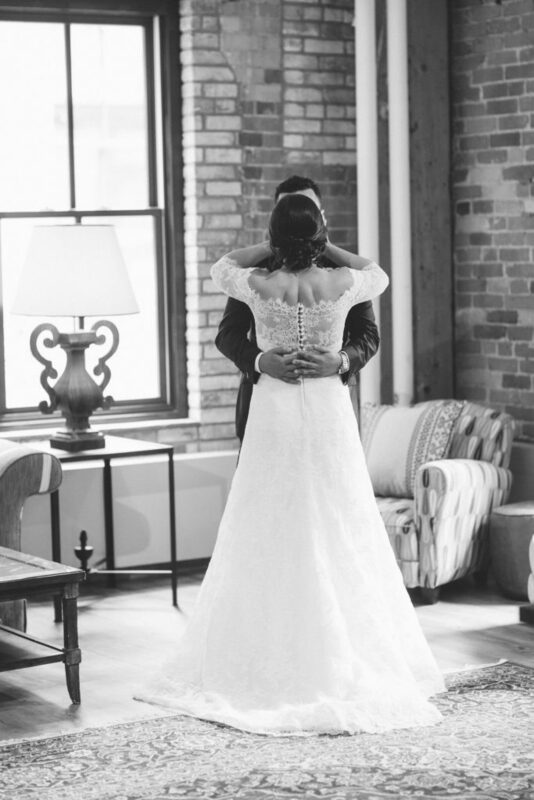 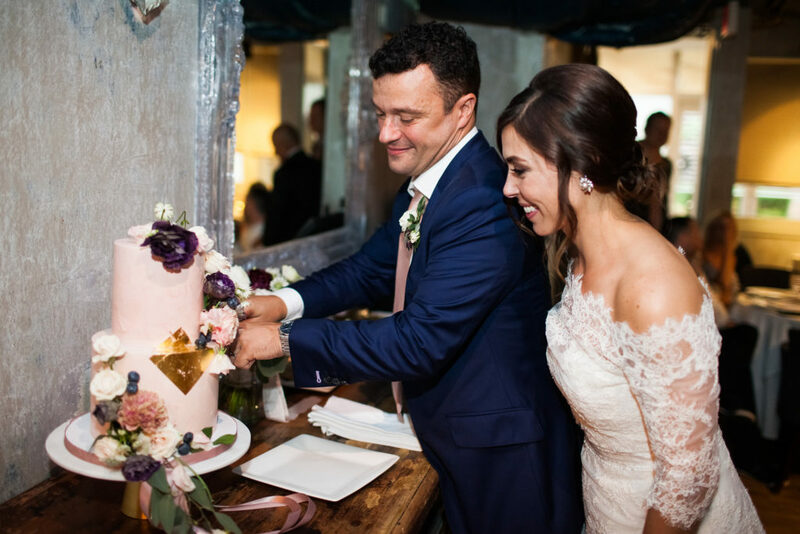 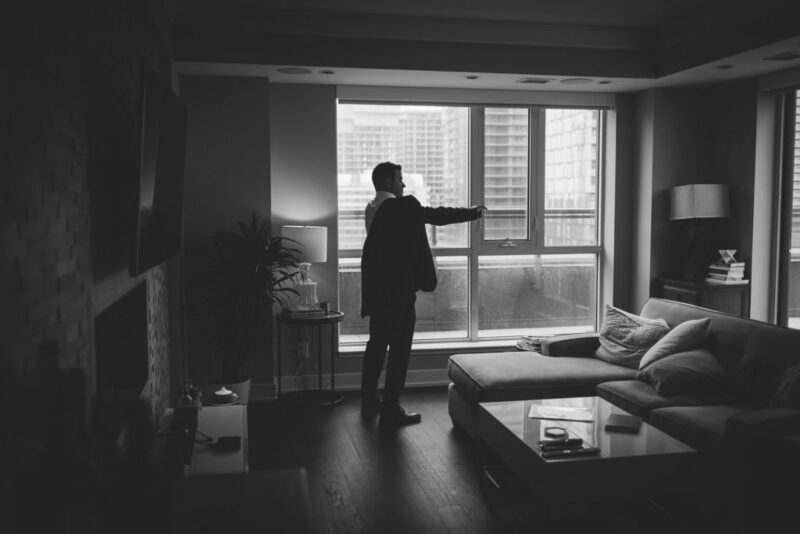 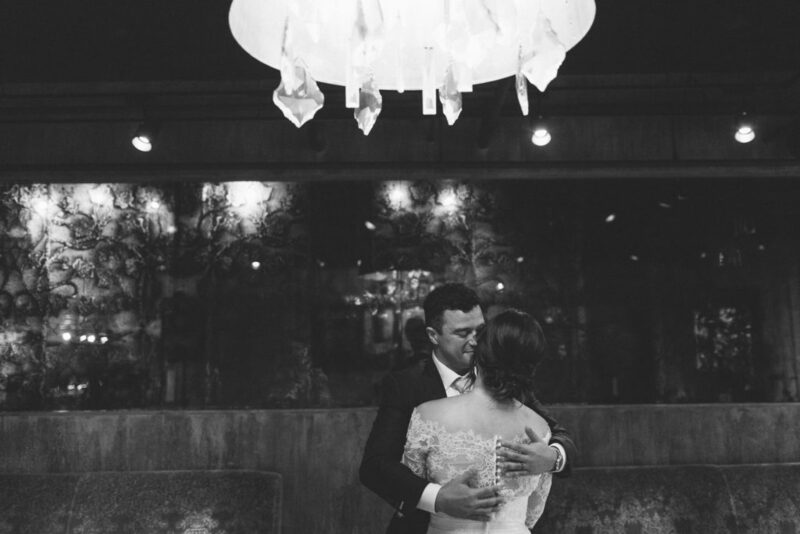 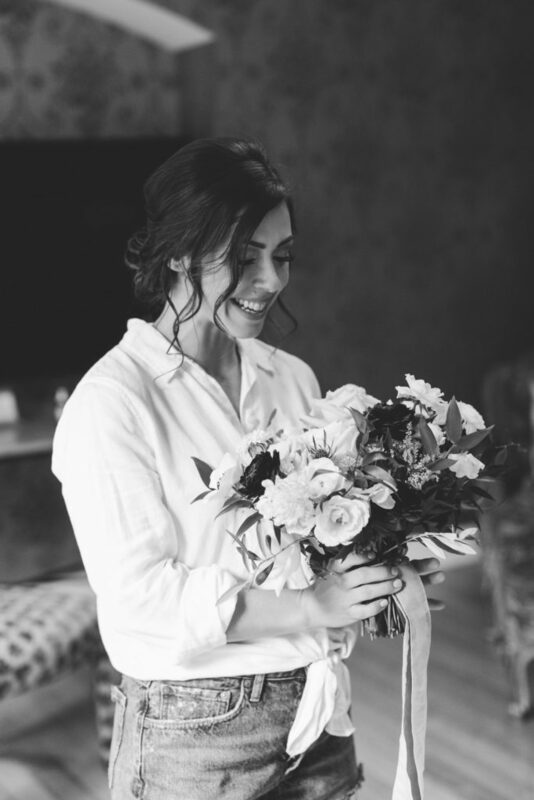 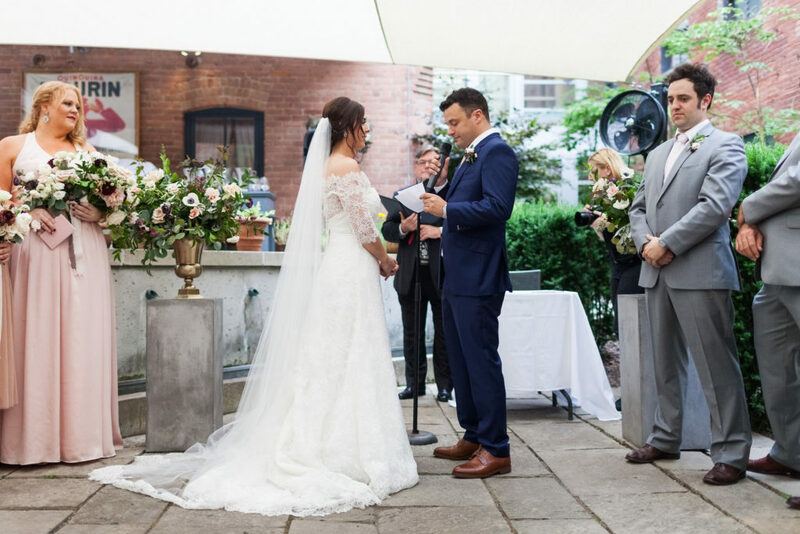 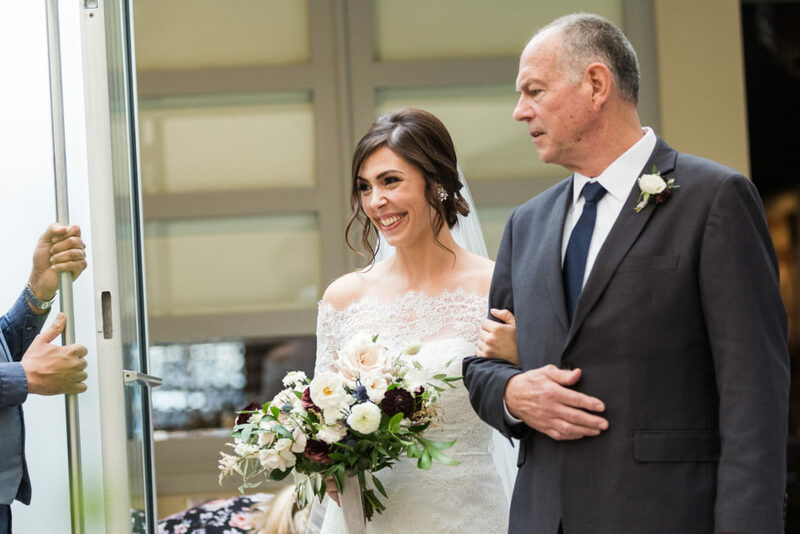 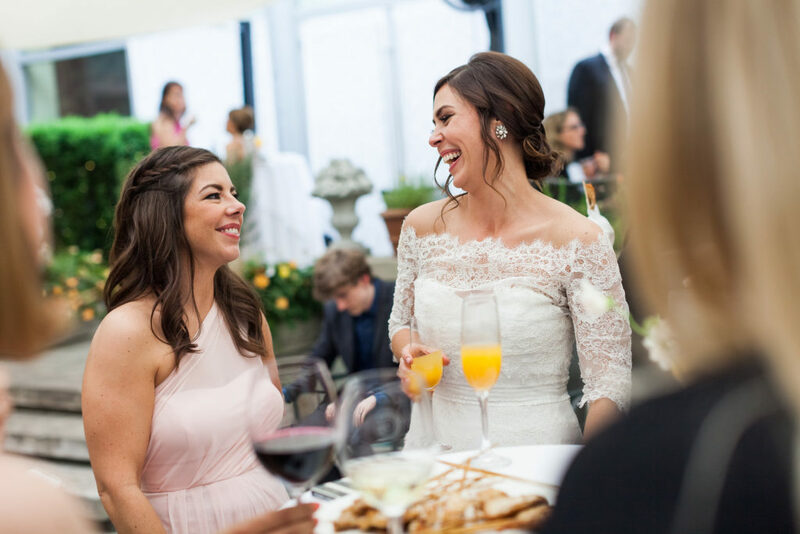 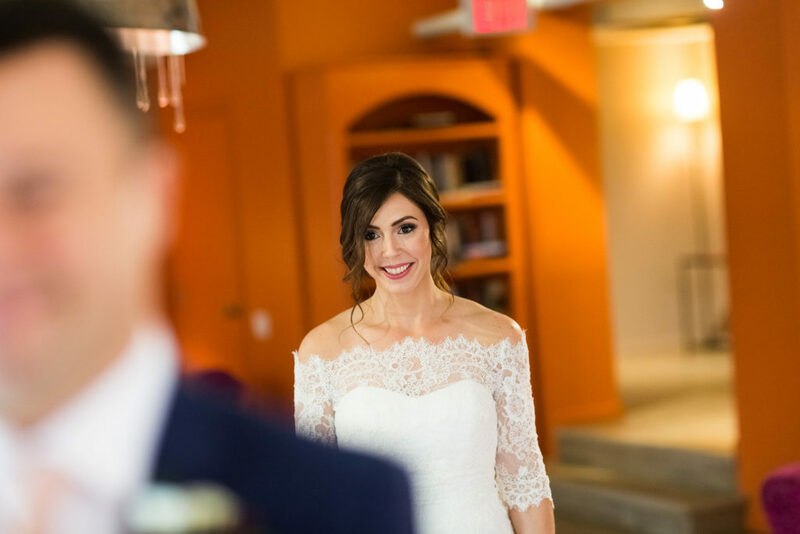 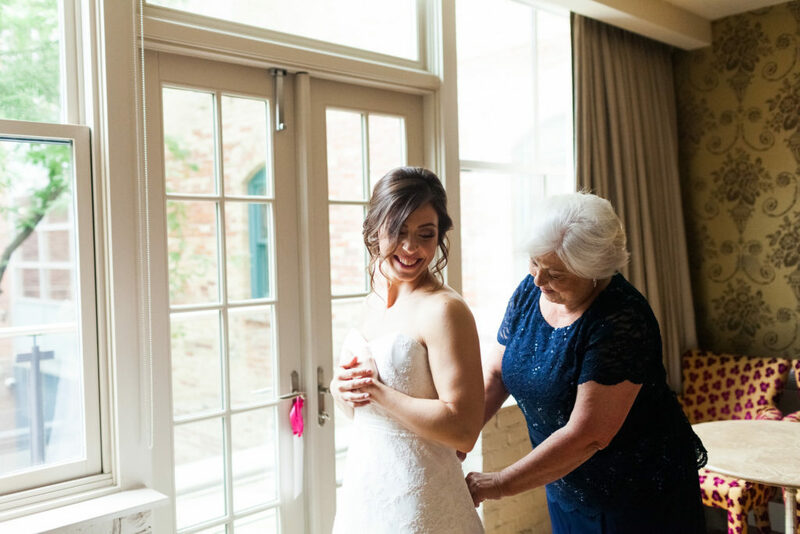 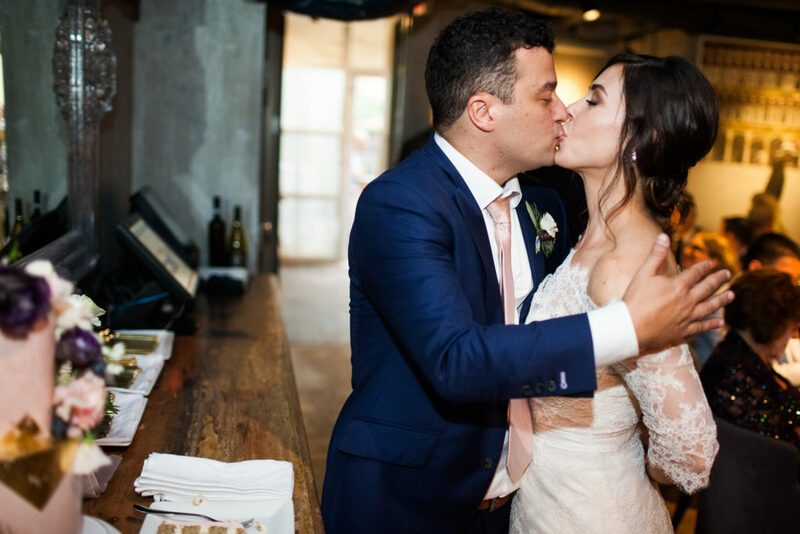 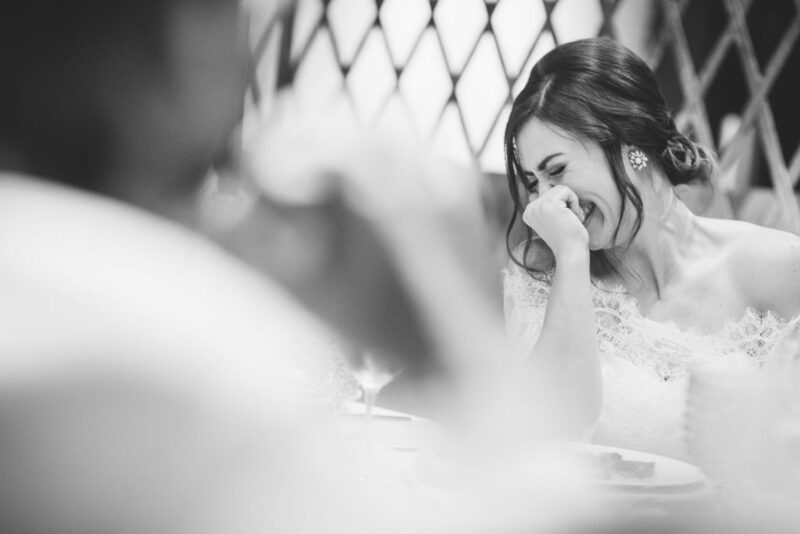 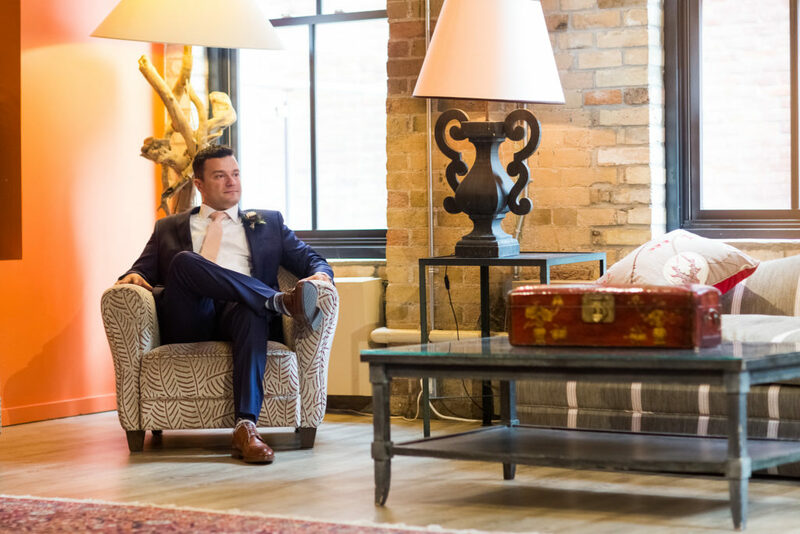 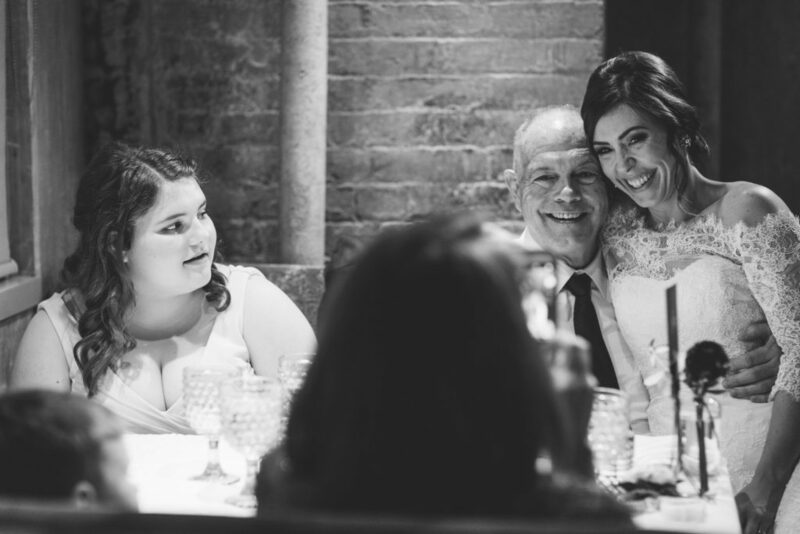 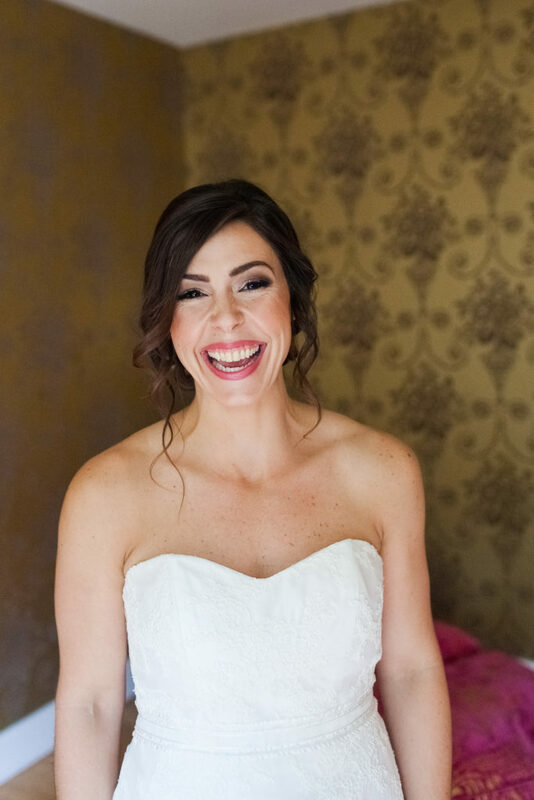 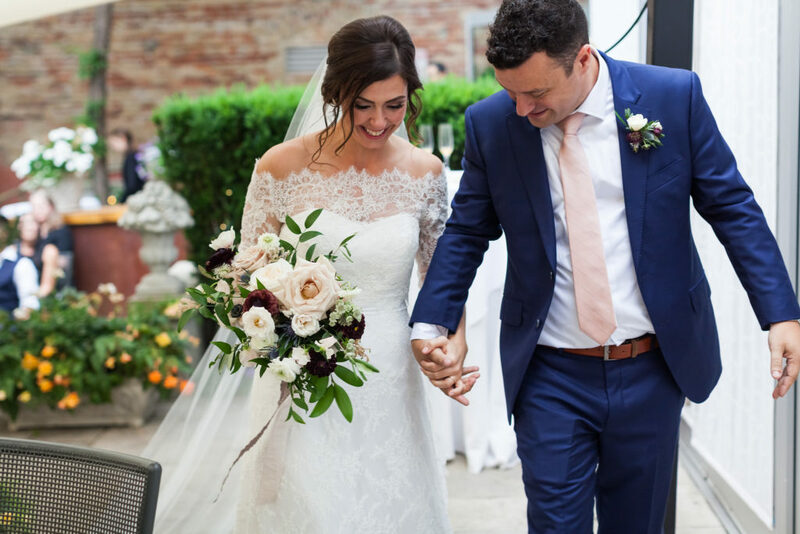 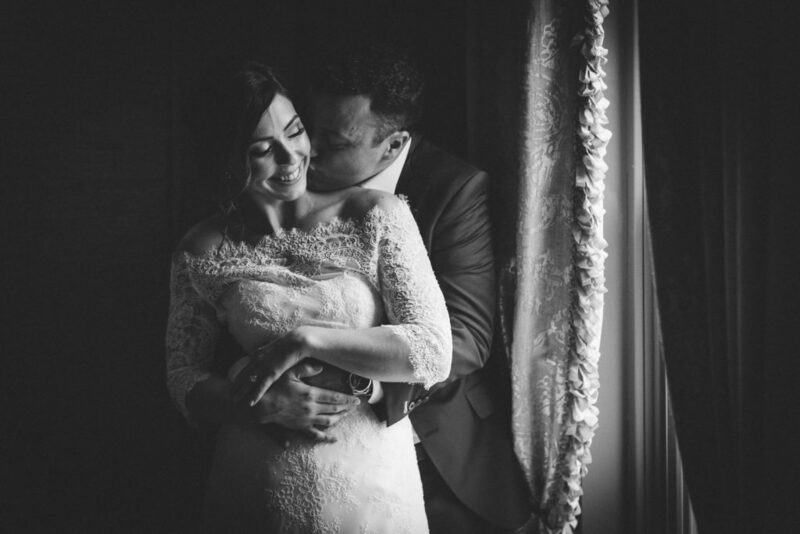 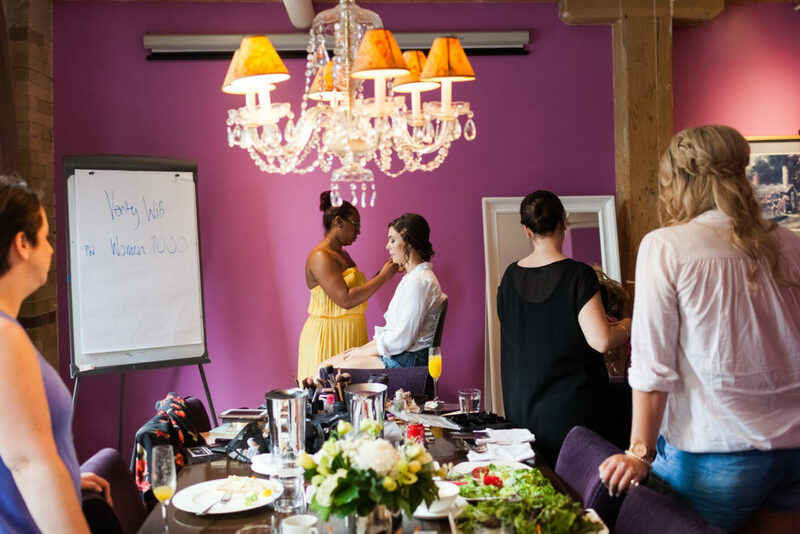 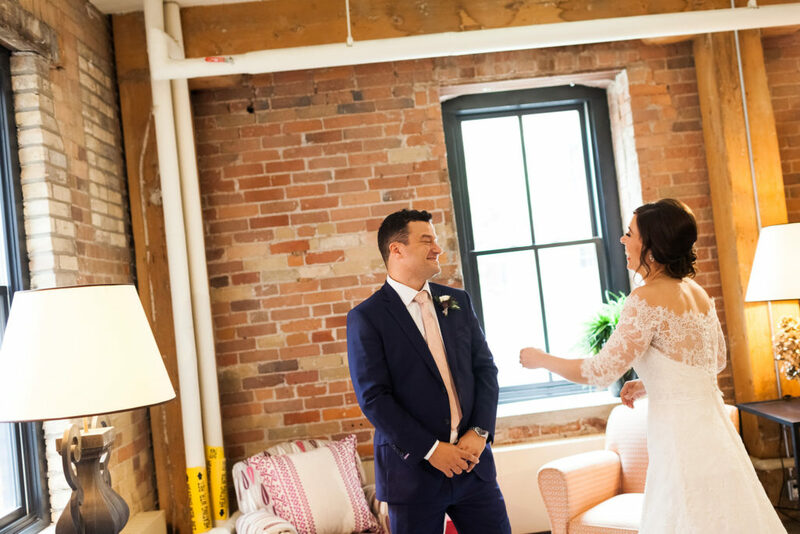 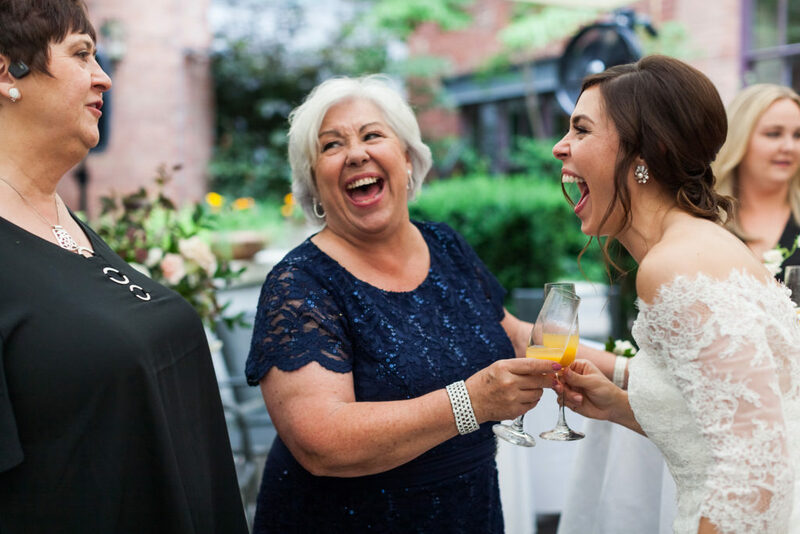 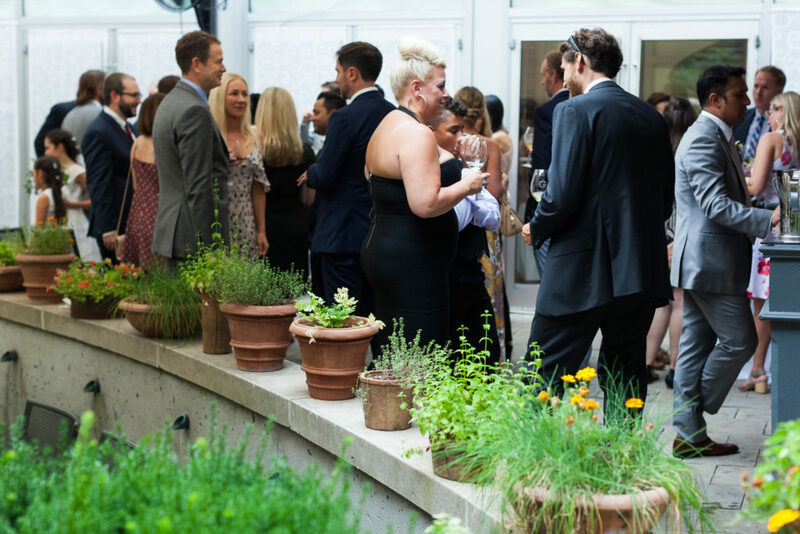 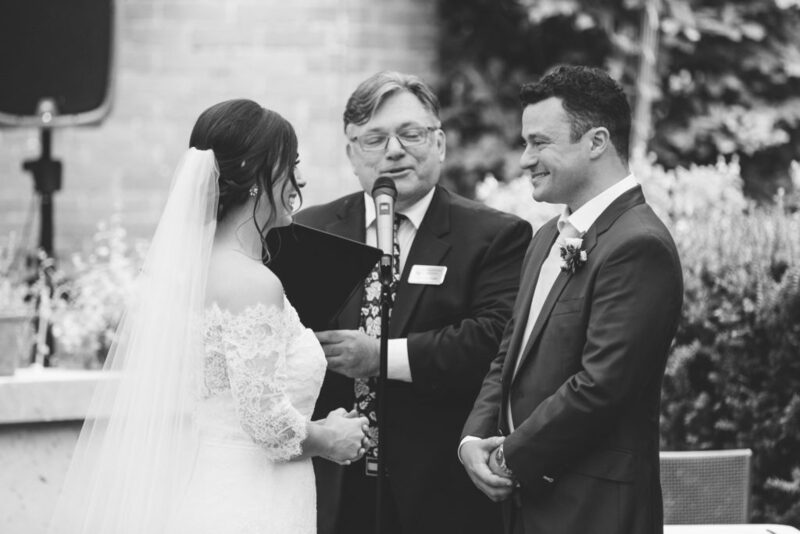 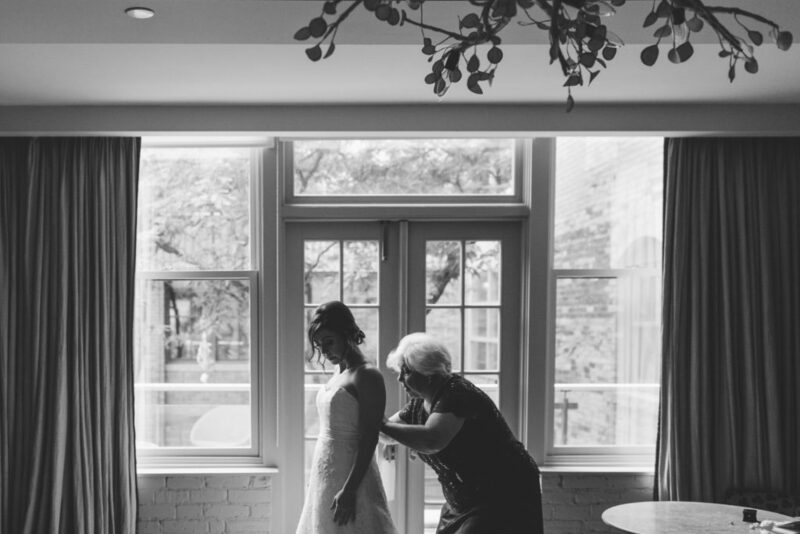 When we met, they had chosen their venue – the charming GEORGE restaurant in downtown Toronto, as they knew they wanted an intimate celebration with their family and friends that included incredible food. 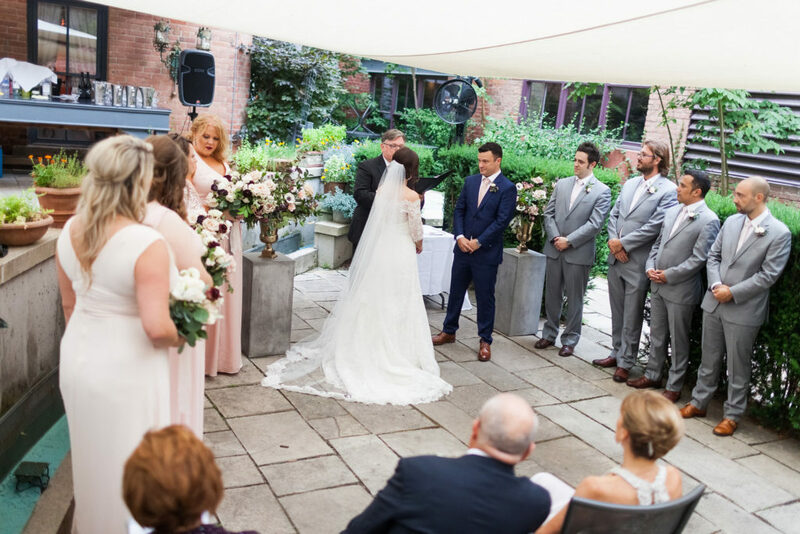 Lauren originally hails from Georgia, USA and Alessio from Italy, so it was important to incorporate the culture and traditions of both (including a ceremony in both languages), as well as host their guests in a beautiful setting. 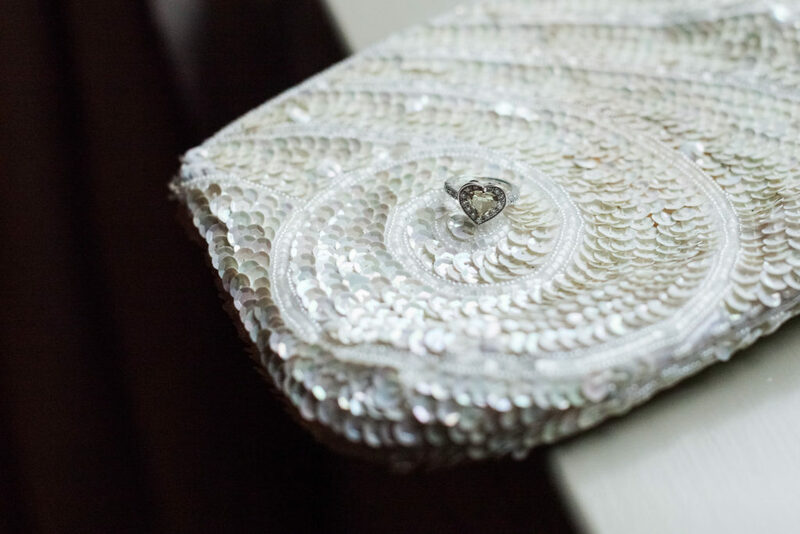 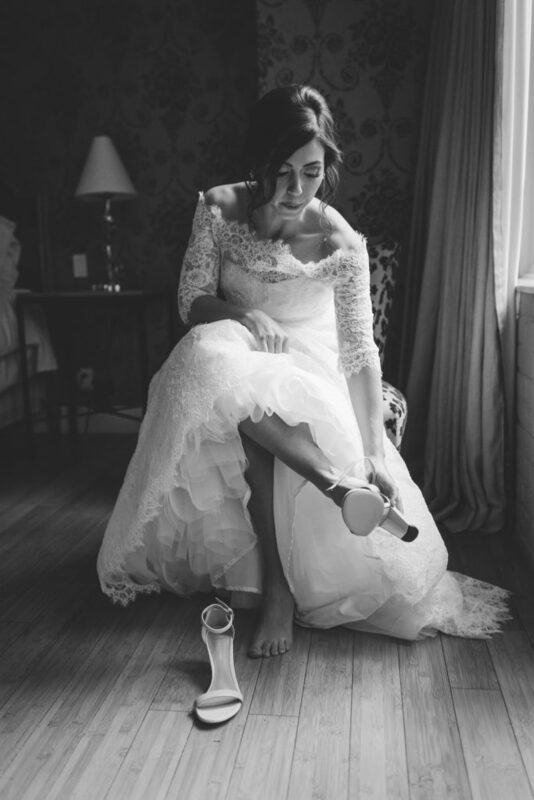 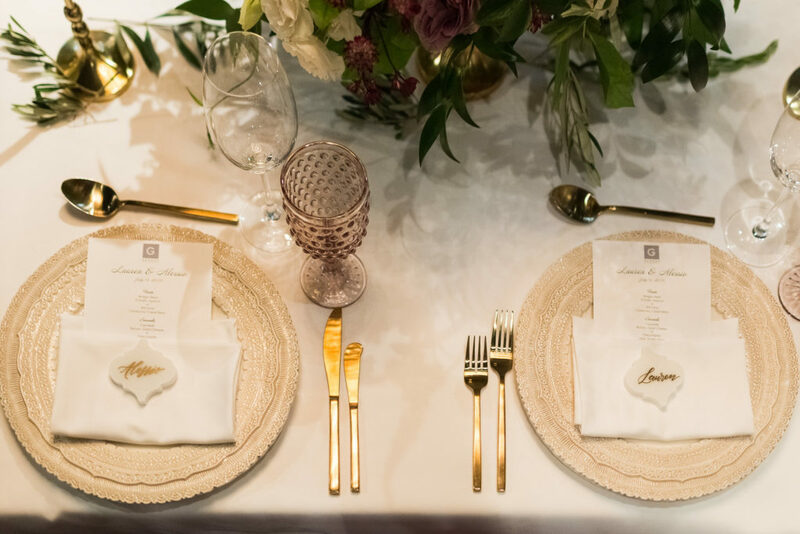 Designing their wedding with a bride with incredible style and taste was a dream. 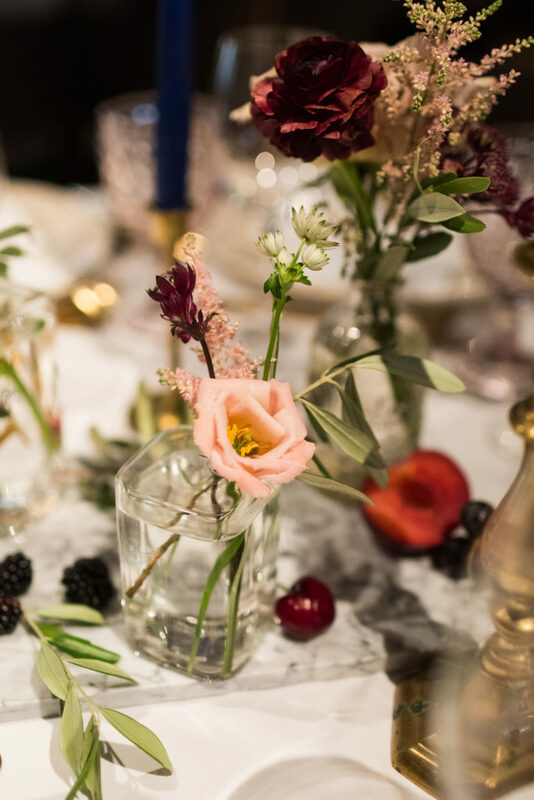 Knowing she wanted a moody and romantic vibe incorporating rich tones alongside neutral hues, we helped tie this vision together with the help of the amazing Blooms & Flora, by using bold coloured florals that were complimented with softer blush and gold tones as well as fresh fruit accents – cherries, blackberries, grapes, and figs. 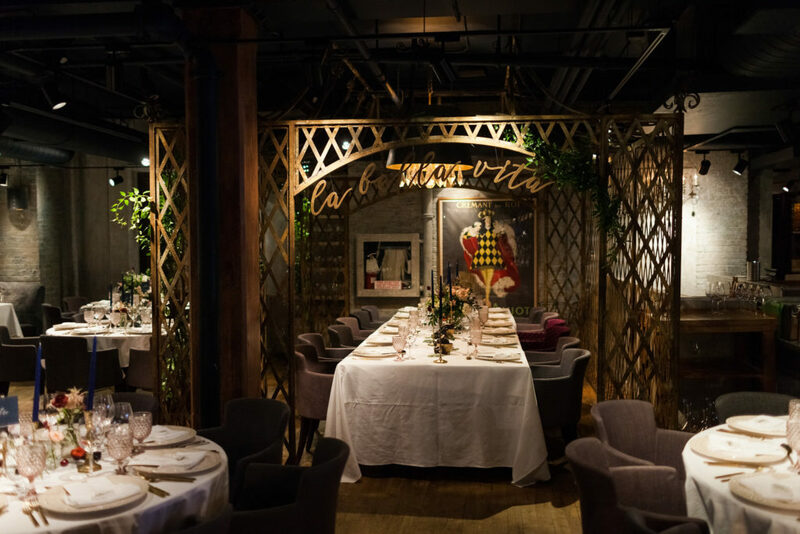 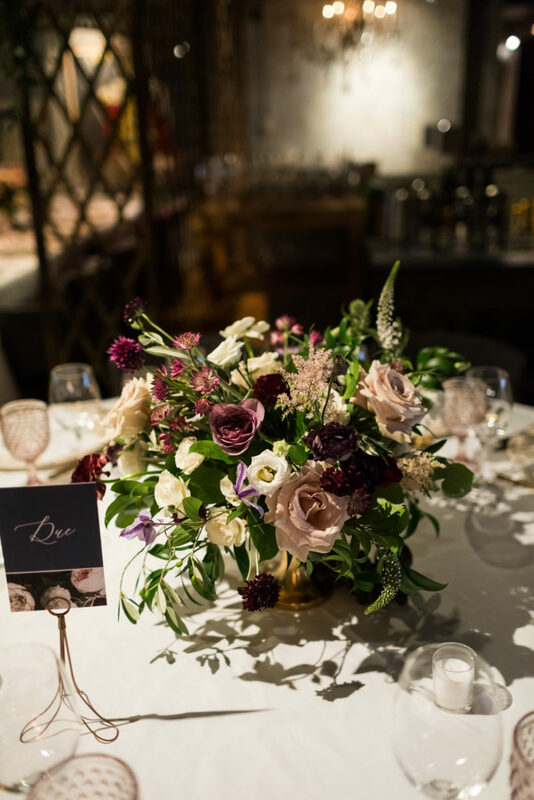 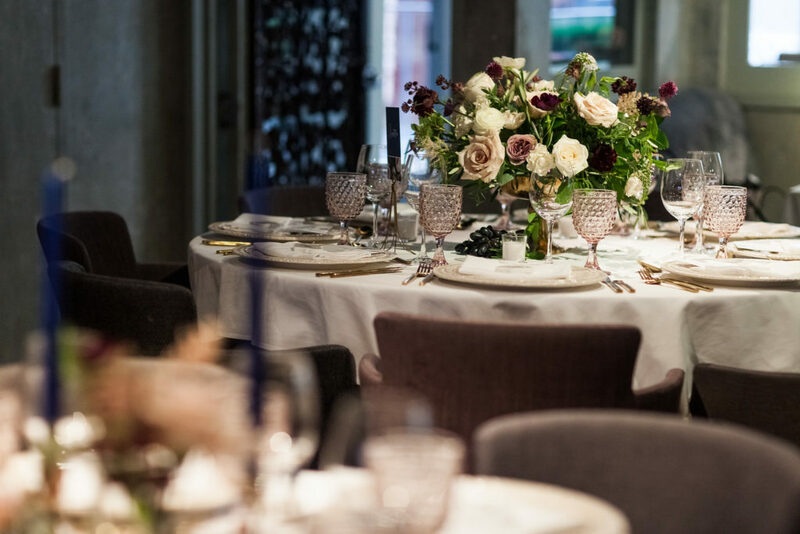 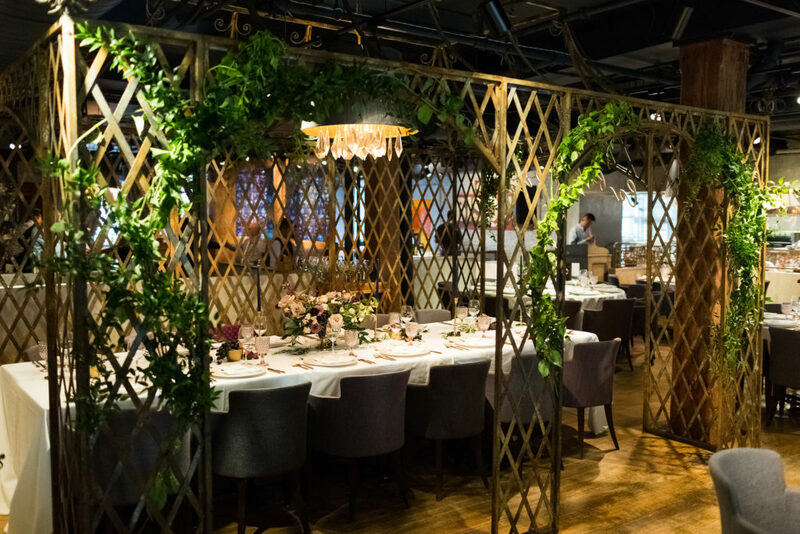 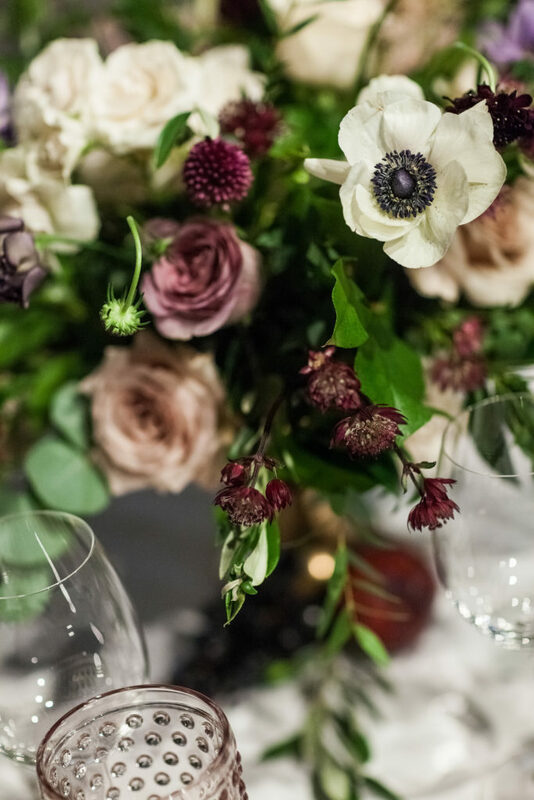 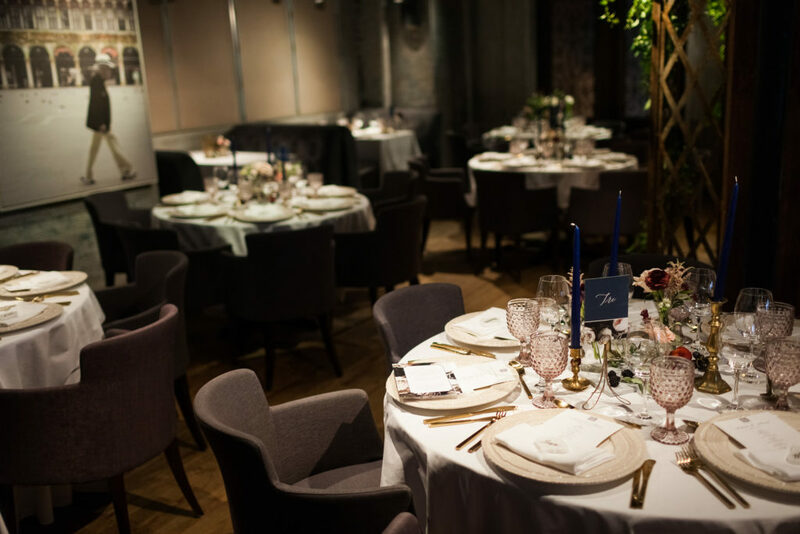 To give depth and visual interest to the space, it was key to have a few unique floral designs on the tables – each different, yet cohesive. 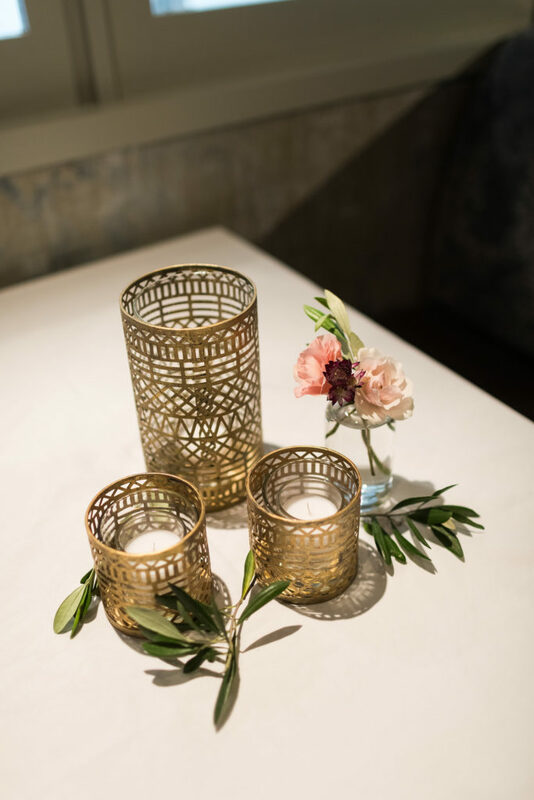 Navy and gold taper candles made the space feel cozy and warm and added an elegant ambiance. 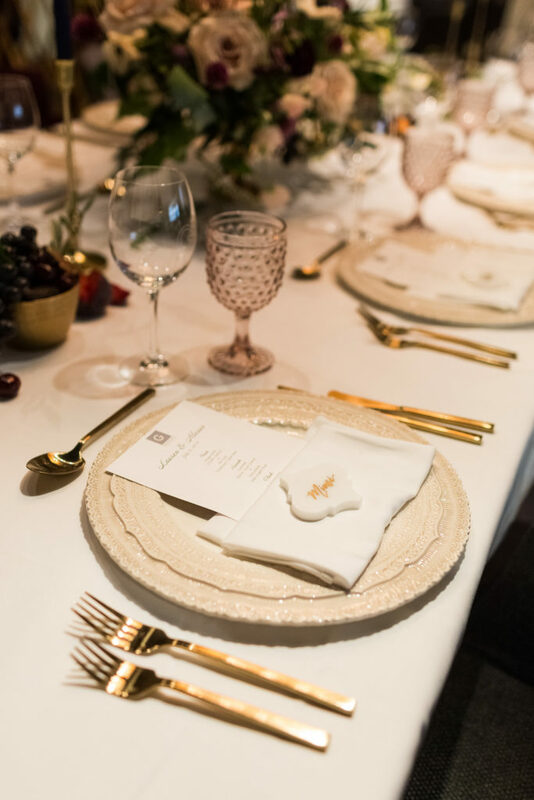 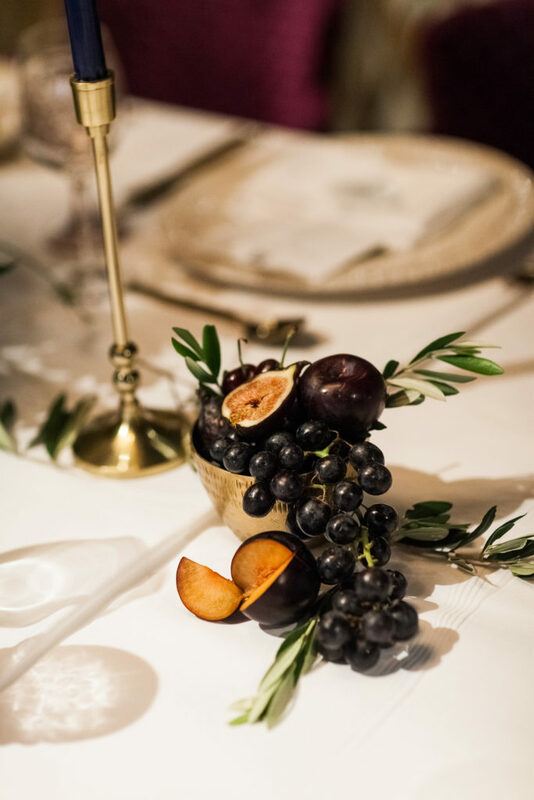 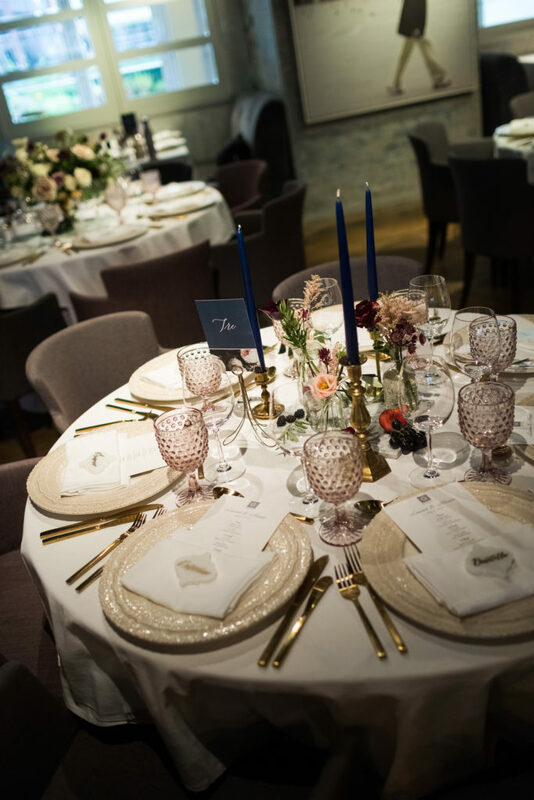 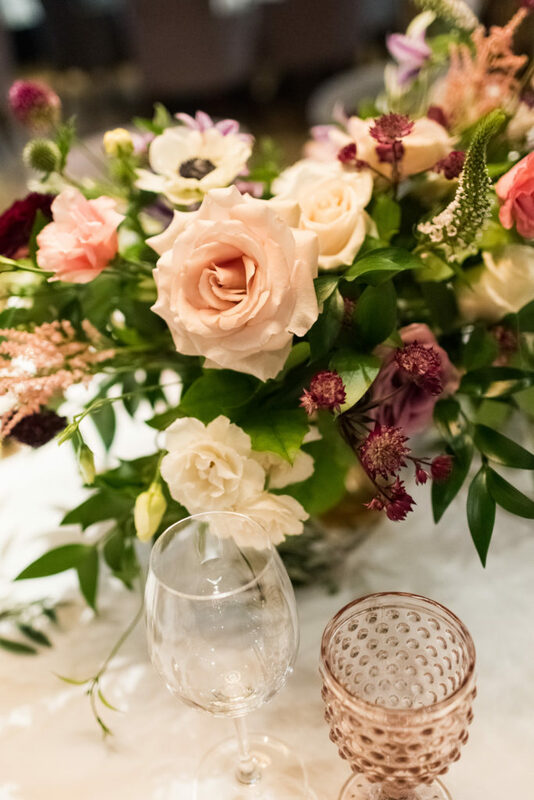 For the place settings, we used Plate Occasions gorgeous Finezza charger plates from Florence, Italy as well matte gold flatware and textured blush hobnail goblets. 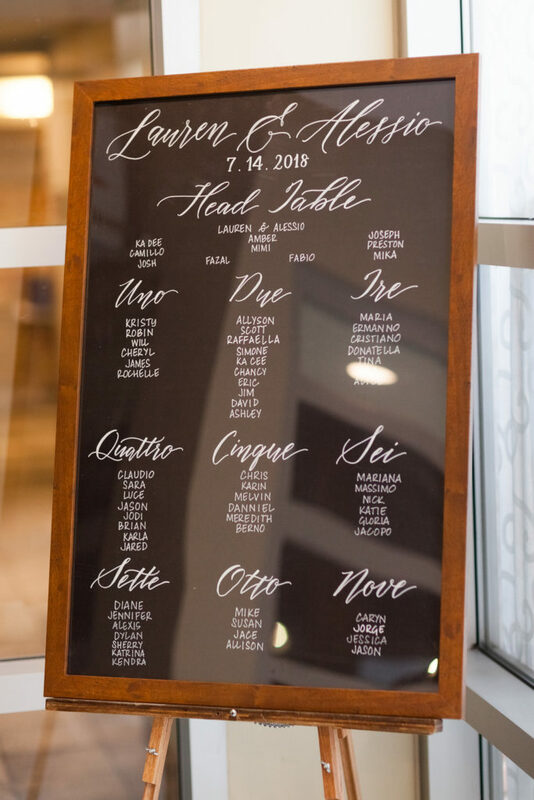 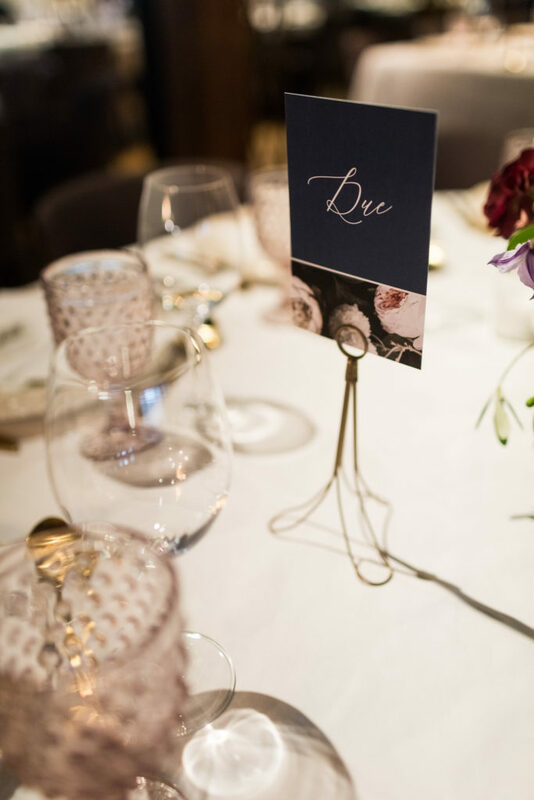 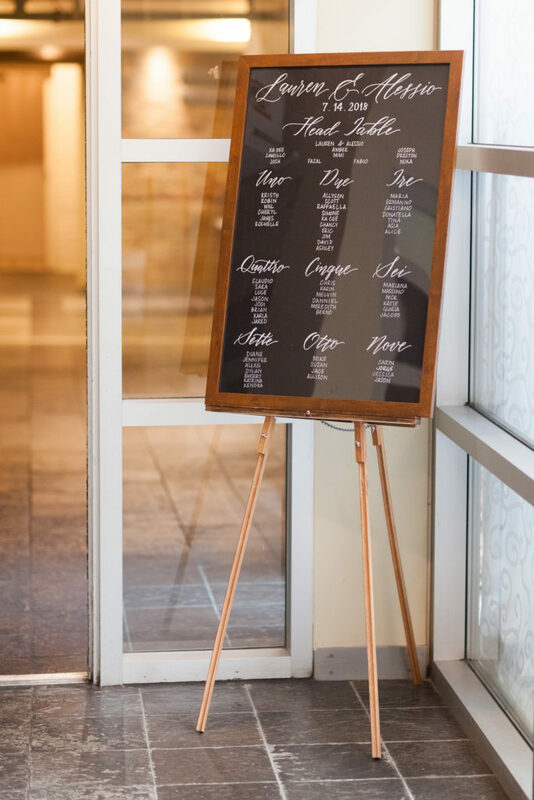 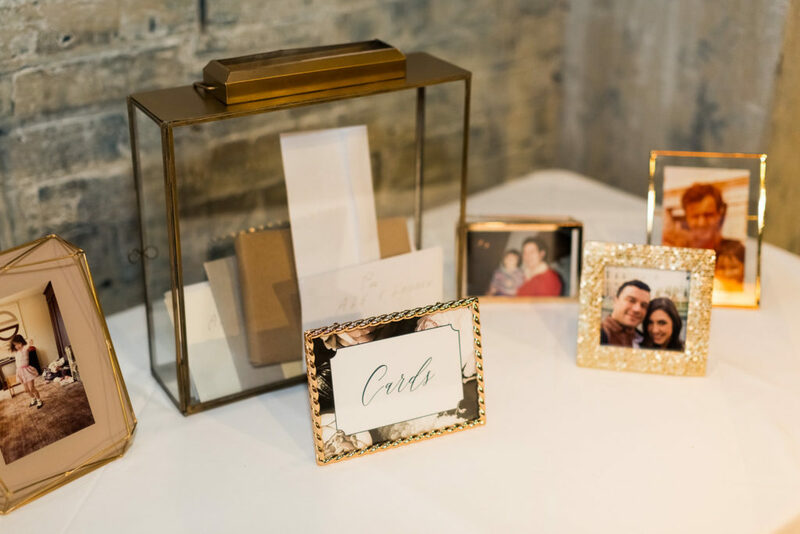 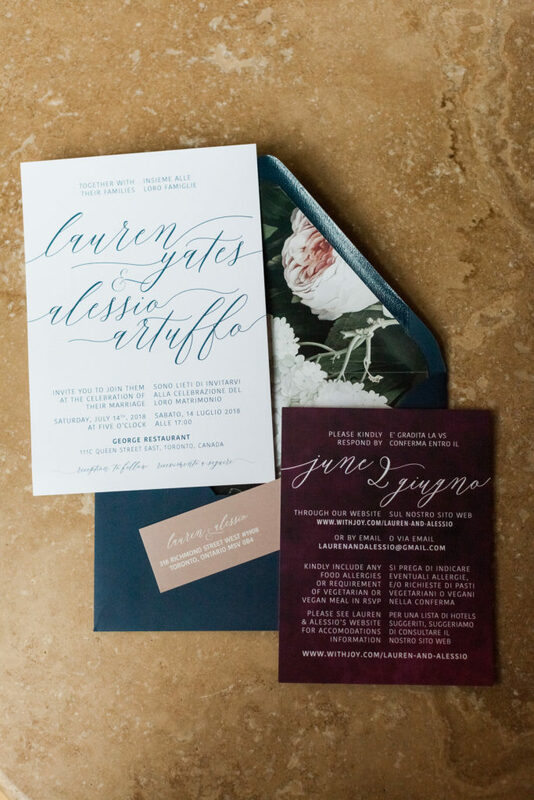 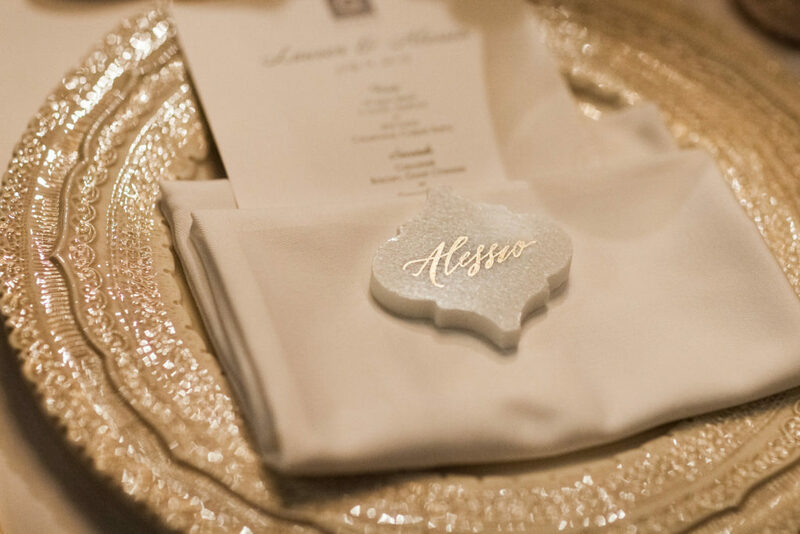 Each guest’s name was calligraphed in gold on marble tile by Paper Trails Design Co. Bilingual stationery designed by Darling Juniper perfectly complimented the decor. 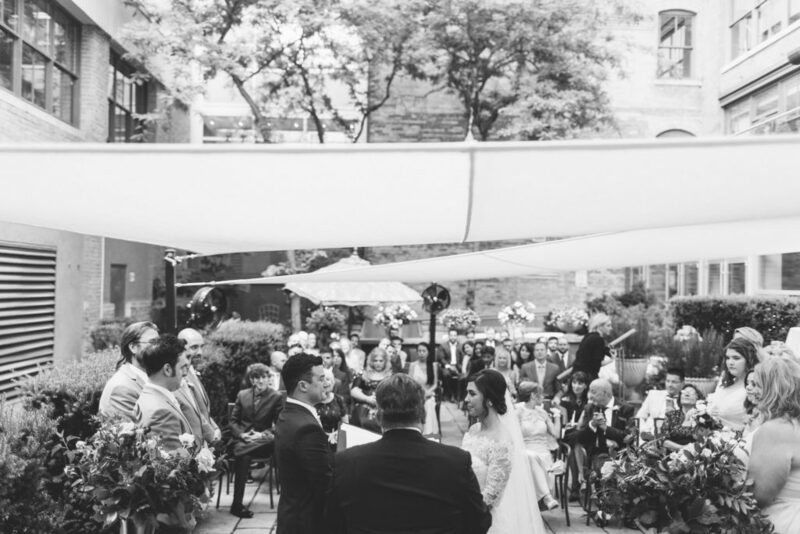 A main focal point of the space is the pergola that the head table is positioned under, so we knew we had to make this special. 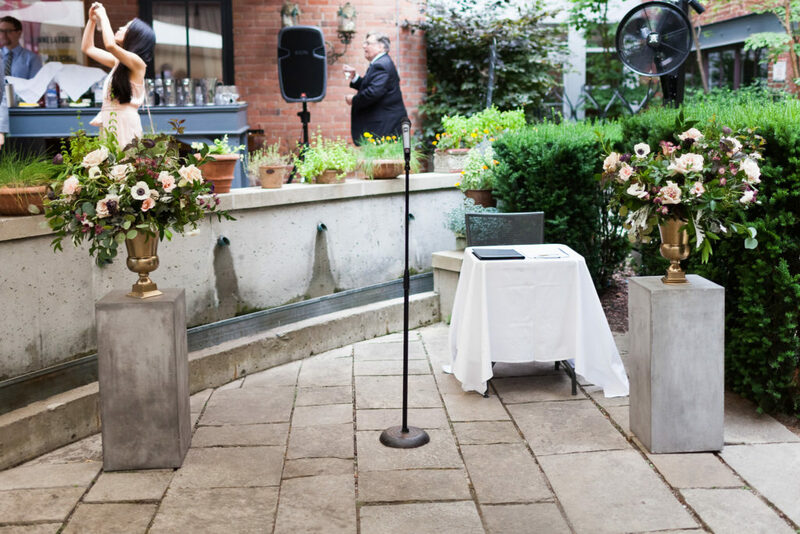 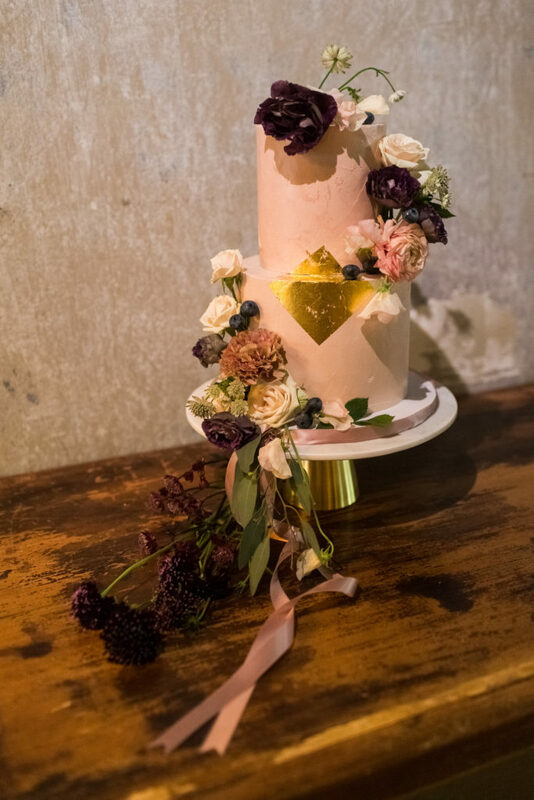 To do this we repurposed their ceremony florals which were in gold containers on beautiful concrete stands and attached vines of greenery to the lattice for a natural effect. 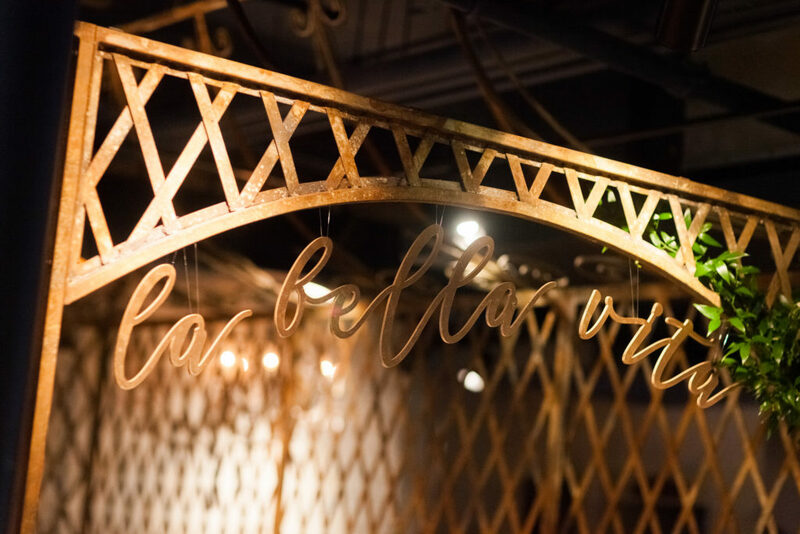 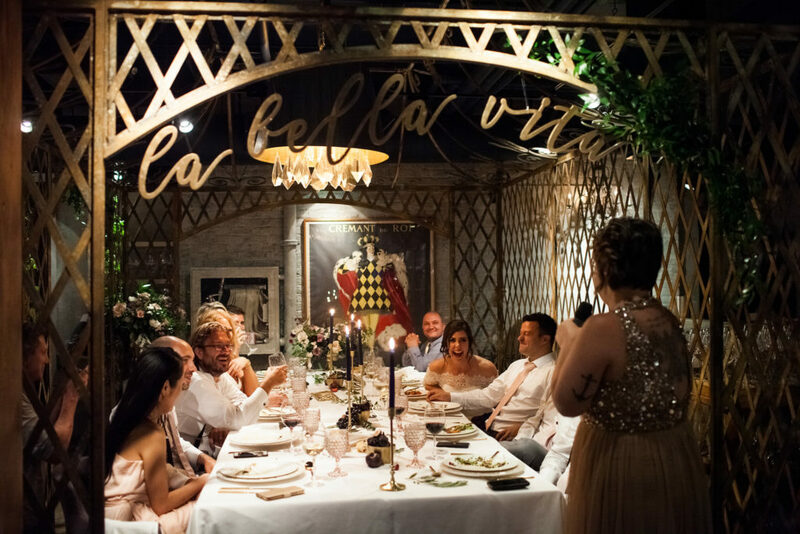 A favourite element was the personal touch of a custom laser cut “La Bella Vita” sign – which translates from Italian into “The Good Life”. 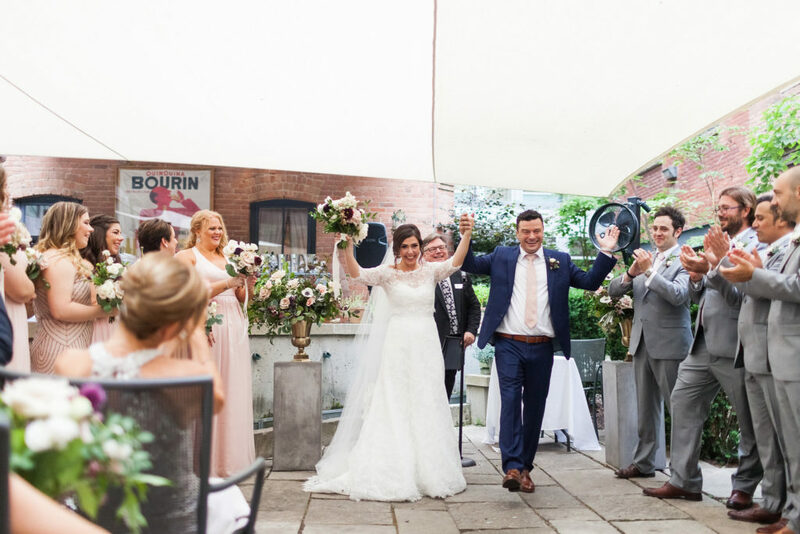 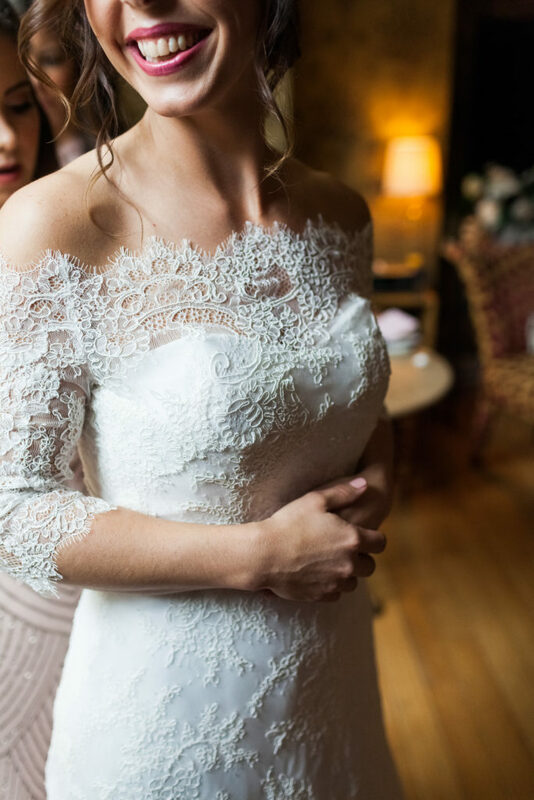 Photographed by the talented Jess & Jason from A Brit & A Blonde, these images capture a day that was a true celebration of the love between these two, and the start of a beautiful new beginning. 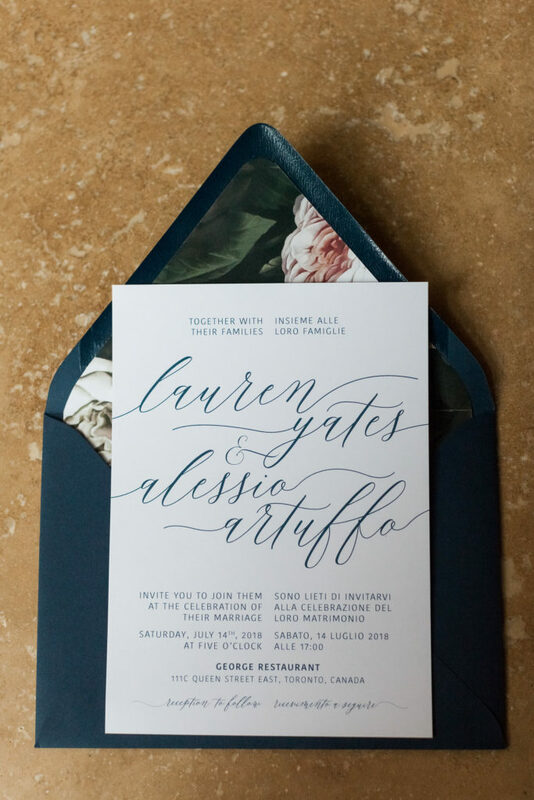 Calligraphy: Paper Trails Design Co.